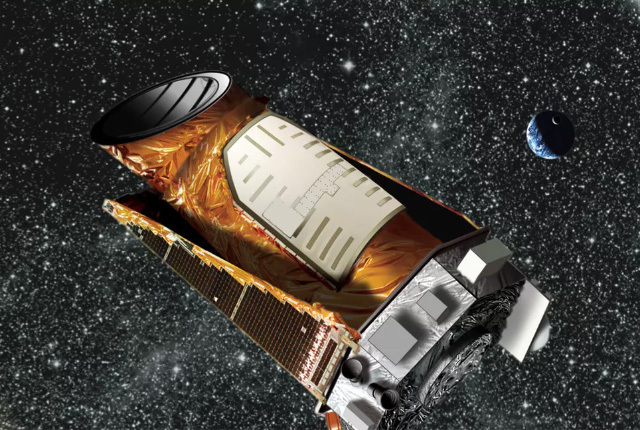 NASA has put its Kepler spacecraft back into hibernation mode following issues with the probe’s ability to point its telescope accurately. The space agency said it has put the space observatory into a “stable, no-fuel-use sleep mode” to preserve the science data collected during its last observations. Kepler will wake up again on 10 October and point its antenna back to Earth to transmit its data, although NASA said there is no guarantee that it will be able to download the data due to concerns over the amount of fuel remaining on the spacecraft. “NASA’s goal is to collect and downlink as much science data as possible while the spacecraft remains viable,” the agency said. Kepler was originally launched into an Earth-trailing heliocentric orbit on 7 March 2009 with the goal of identifying other Earth-size planets in our region of the Milky Way. NASA said that Kepler has discovered more than 2,600 planets beyond the solar system to date.